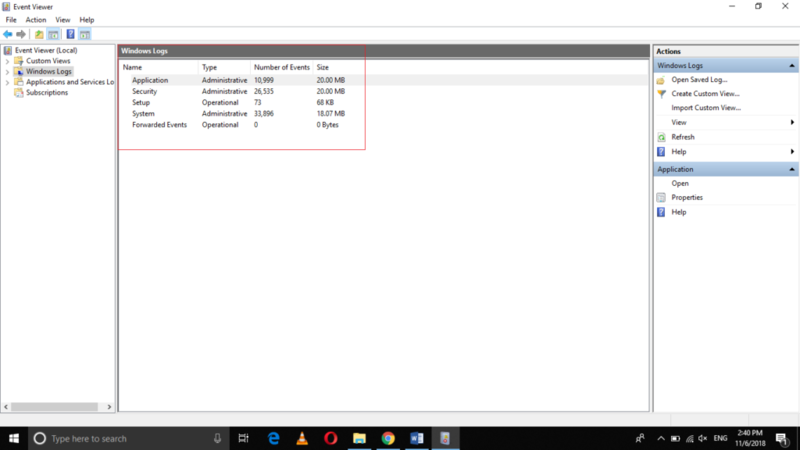 Introduction - What is the Event Viewer? 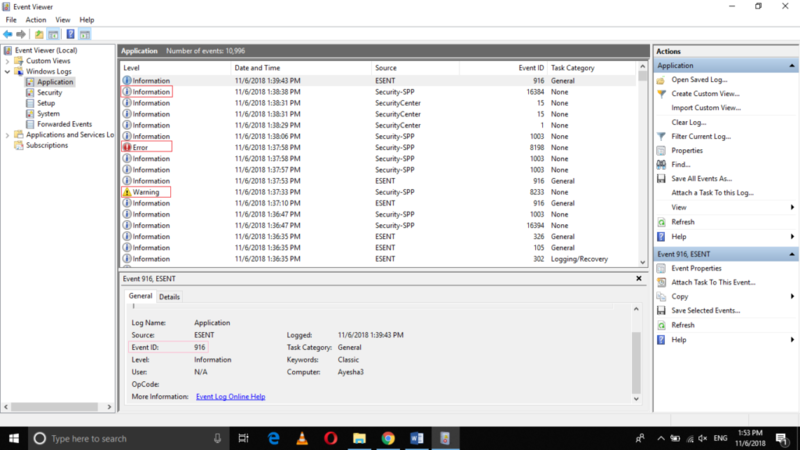 Windows 10 provides us with a feature, which helps us in viewing the detailed log of all our applications. This feature is known as Event Viewer. 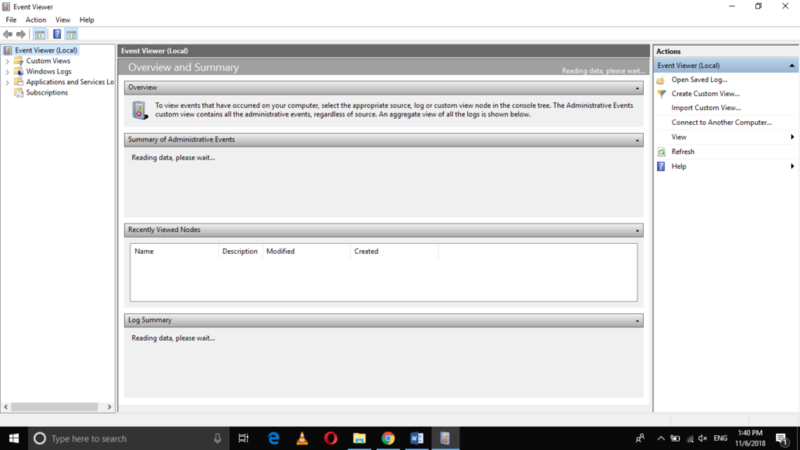 It gives a detailed analysis of the working of all the applications in Windows 10. It also provides us with the list of all the error events that occurred while running any application. This list helps us to determine the root cause of all the problems. It facilitates us in tracing those applications that cause problems while running. After viewing the detailed report of those problems, you can easily resolve them. This not only increases the efficiency of your computer system but also saves you in the future from some of the most commonly occurring issues. In this article, we will explain to you the method of using the Event Viewer in Windows 10. The three most important types of event logs are highlighted in the image shown above. The Application Log records those events that are related to the interface and other important components that are necessary for an application to run. 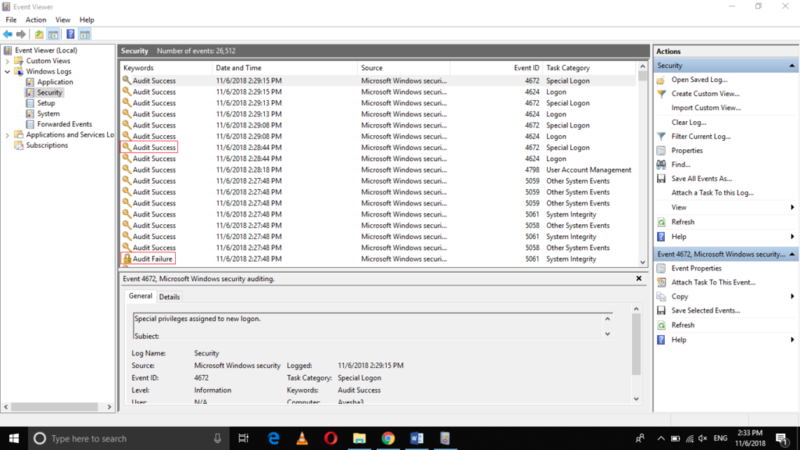 The Security Log is concerned with the events that related to login attempts and other security features of Windows 10. 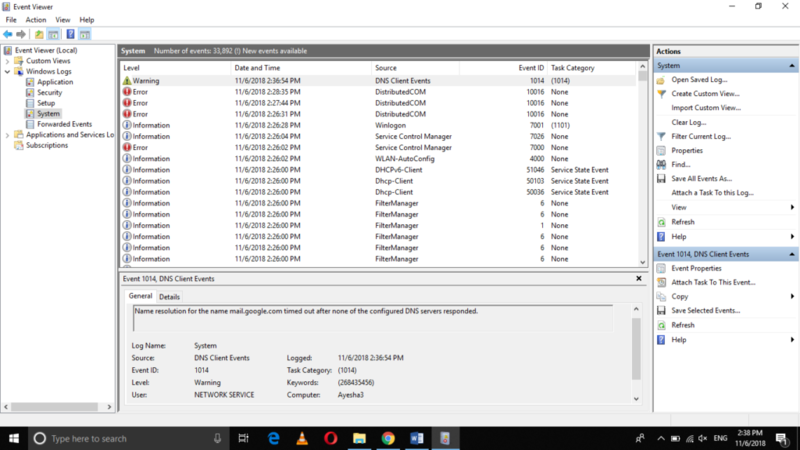 The System Log tracks those events that are related with the pre-installed programs of Windows 10. We will look at all these types of event logs one by one. Click on the Application tab in order to view the Application Logs. There are three levels of all the events that are recorded by the Application Log i.e. Information, Error and Warning. The Information events are those events that inform about the normal activity of an application i.e. the application is running without any issue. The Error events inform about the occurrence of an error while running an application. The Warning events tell about any possible issues that may occur while running the application. Moreover, the event IDs of the events help you in finding the solution of any particular error by searching for it on the Internet. Now click on the Security tab in order to view the Security Logs. There are two keywords that represent the type of events being recorded by the Security Log i.e. Audit Success and Audit Failure. Audit Success keyword is used to identify the successful login attempts whereas Audit Failure keyword is used to specify the failed login attempts. Now click on the System tab in order to view the System Logs. Just like the Application Log events, the System Log events also have the same three levels i.e. Information, Error, and Warning. The details of these levels are already discussed in this article. 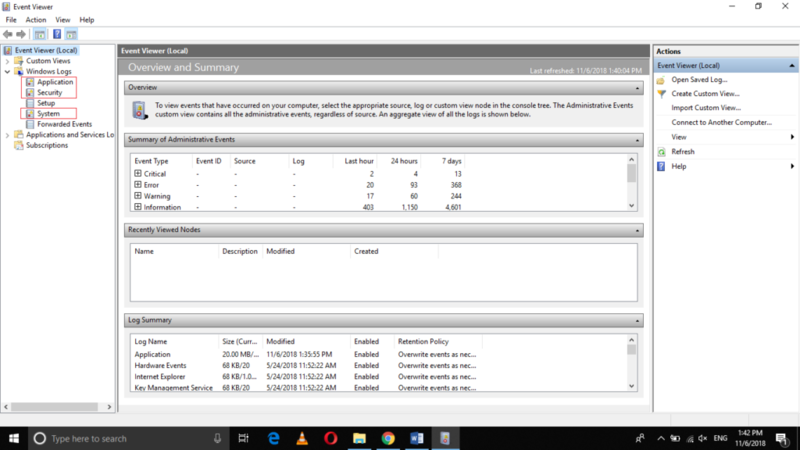 In this way, you can use the Event Log in order to know about all the events that occur on your computer system using Windows 10. The Event Log not only helps us in tracing the issues and problems that arise while performing certain activities but it also helps us in resolving the most commonly occurring problems by using their respective event IDs.